You will find Westwood Hills Nursing and Rehabilitation Center nestled in the rolling foothills of the Blue Ridge Mountains. Our 186 bed facility offers an excellent surrounding for both short-term recovery as well as long-term stays. Our homelike environment combined with our friendly and helpful staff, make us the ideal choice for your healthcare needs. Our goal is to provide the best care available. 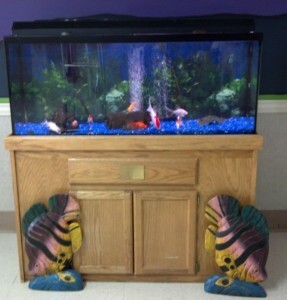 Check out our Tropical Fish collection in the main living room. They keep everyone entertained with their lively interactions and brilliant coloring.